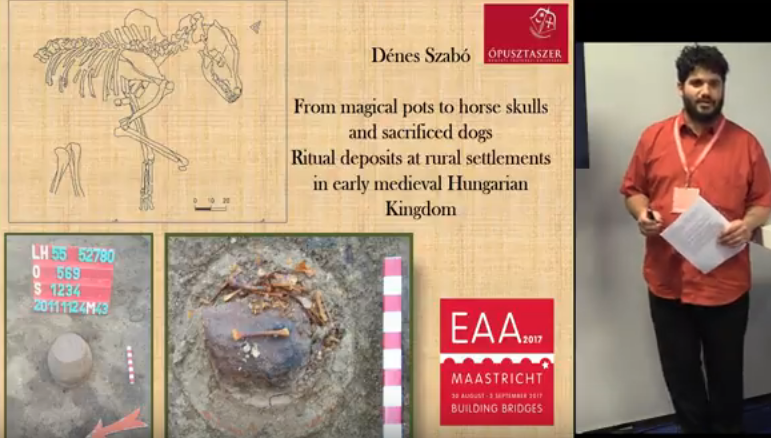 During the decades long archaeological research of early medieval rural settlements throughout the Carpathian Basin numerous ritual deposits were found, the scholarly interpretations of which sometimes differed greatly. Common lack of data about their exact archaeological context also left them open for predetermined opinions. Were they building sacrifices or part of fertility rituals? Can they be seen as remains of “heathen” belief systems, or do they mirror superstitions of medieval folk Christianity – or witchcraft? Can some of the dog sacrifices be attributed to Kipchaks, and thus have an ethnical aspect? Instead of looking for exculpatory answers we must see such findings in a broader context, considering their numerous Bronze and Iron Age parallels and relations with Christian symbolism as well.